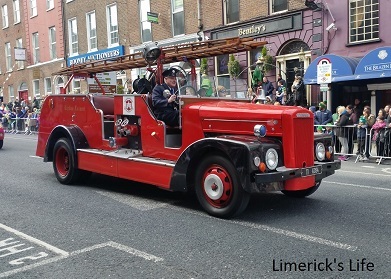 Each year thousands of locals and those from further afield converge on Limerick city to take part in or to watch the St Patrick’s Day Parade. Luckily for those who attended the parade in 2016, the weather was dry and not too cold. Those walking, dancing, cycling or marching from Sarsfield Barracks, down O’Connell Avenue, through The Crescent, O’Connell Street, Patrick Street, Rutland Street over Matthew Bridge to Merchant’s Quay. A large portion of the participants are from youth social clubs such as the scouts and girl guides, as well as sporting clubs, for rugby, GAA, soccer and martial arts. The following is a film of photographs from the St Patrick’s Day Parade 2016 in Limerick City. Sorry Sharon I forget to mention the music you had playing on your video is really lovely. Thank you for the St. Patrick’s Day video, it brought a tear to my eye. My DNA just came back and it tells me I am 57% Irish, so I am very proud. I hope you and the boys are well. Think of you often and the time we had in Limerick.